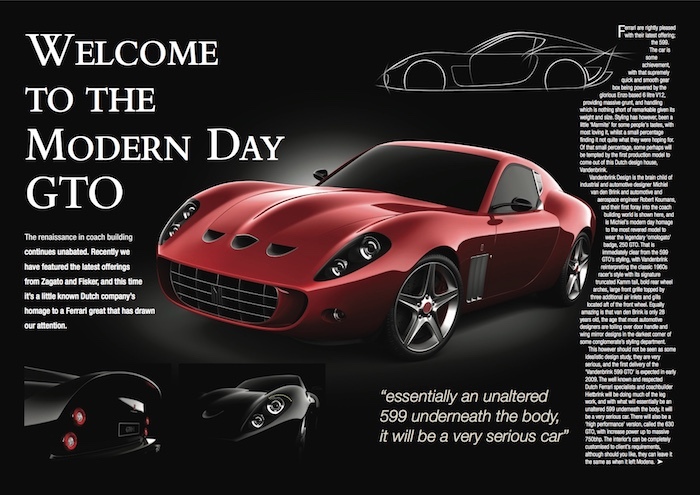 2007-12-03: Evo.co.uk: 599-based GTO is go! 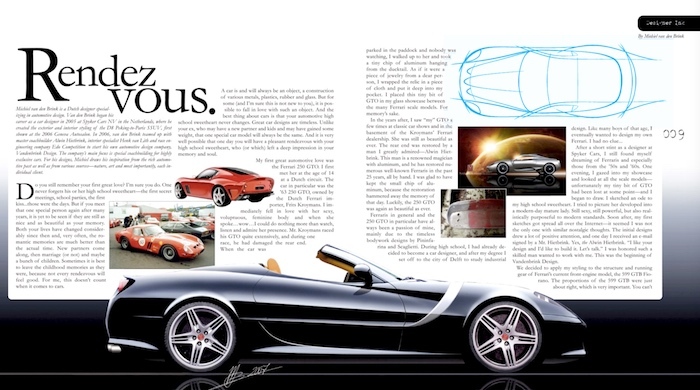 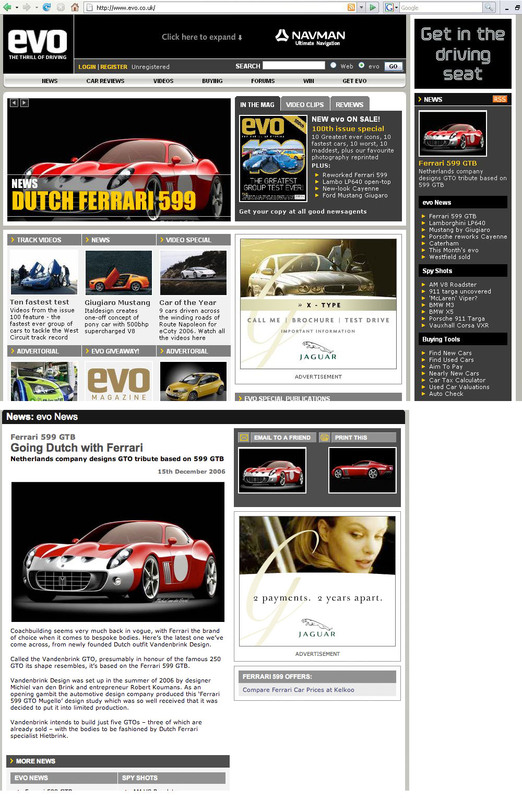 2007-10-10: Autoblog.nl: Vandenbrink Design toont GTO met FXX specs! 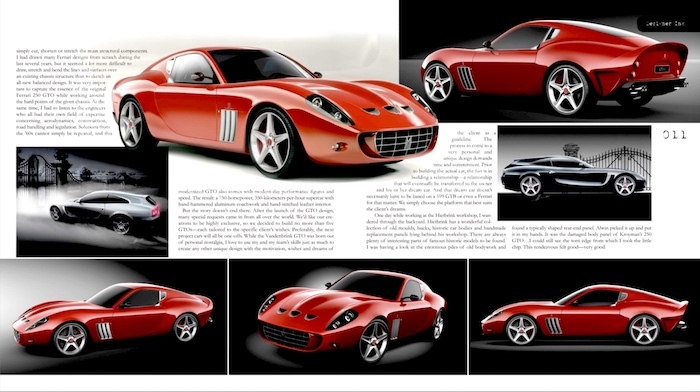 2007-05-25: Autotrader.co.uk: Is this the world’s sexiest Ferrari? 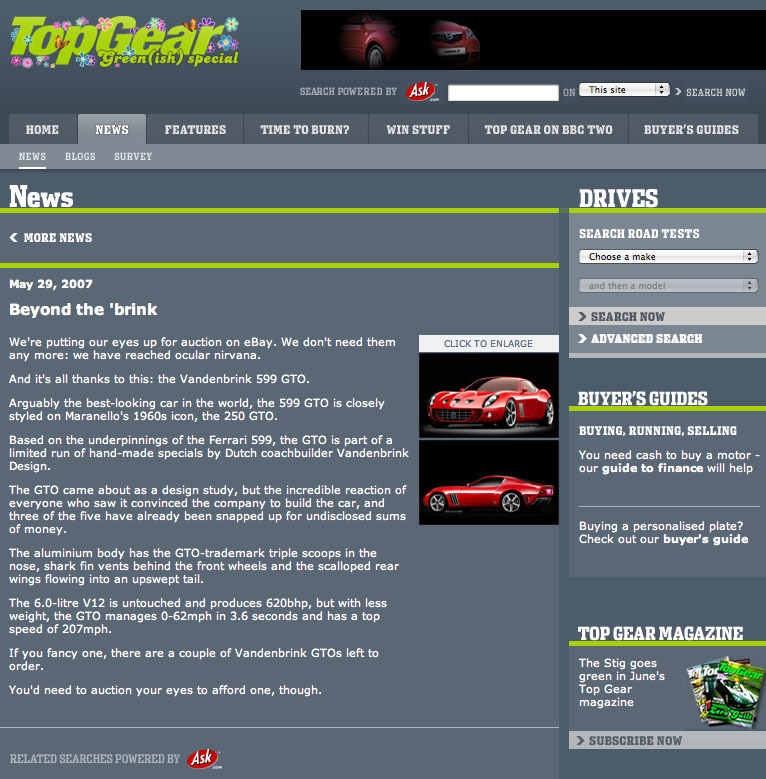 2007 EVO (UK): 599-based GTO is go!